Starting pitcher Jose Berrios pitched well enough to help the Arizona Diamondbacks beat the Colorado Rockies by the score of 4-3. Alex Meyer earned his 35th save in 38 chances. 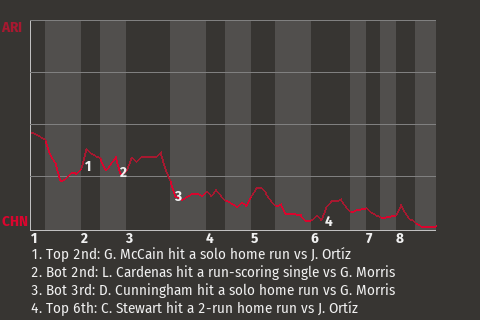 The Diamondbacks bumped their record to 73-64 with this latest triumph. The Diamondbacks got a big at-bat from right fielder Bob Joseph. For the game, Joseph went 1-3 with a home run and a walk. He drove in 2 runs and scored once. In the top of the first, with a runner on 1st, he stroked a 2-run home run. His 31st home run of the season gave Arizona a 2-0 lead. "We made a couple of mistakes," said Colorado skipper Jason Lester, "and it cost us."